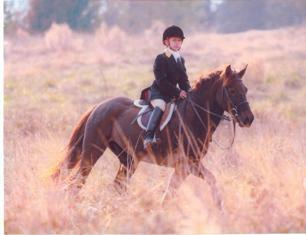 Barbara has been a member of Belle Meade Hunt in Thomson,GA for 28 years. She is a whipper –in, a member of the Hunt Committee, and teaches an annual seminar introducing newcomers to this wonderful sport. When each student achieves a certain level of expertise, they are given the opportunity to experience foxhunting. It is a sport full of tradition and there is no thrill on earth quite like it. Rider and horse truly become partners, there is no competition or politics involved; just sheer joy at being out in the beautiful countryside with your favorite four-legged friend!